Start brewing for 20% less thanks to this coupon from Amazon. 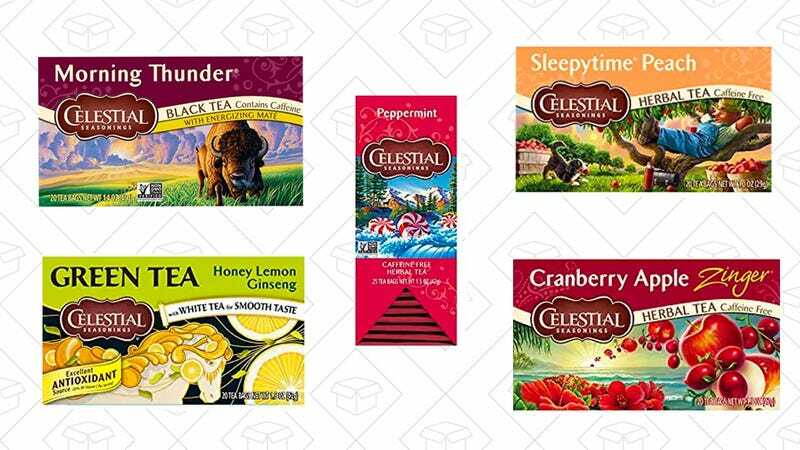 The coupon applies to a whole bunch of Celestial tea flavors, most of which are sold in 6-packs, but Amazon is also offering some smaller quantities of holiday flavors and variety packs. Just remember it takes the 20% from your first order when you Subscribe & Save, but you can cancel at any time (even right after your first order ships), if you don’t want multiple shipments.